Our Britney 4 Carat Cushion Cut Cubic Zirconia Micro Pave Set Split Shank Wedding Set is inspired by the ring Kevin Federline gave Britney Spears as her engagement ring. This elegant solitaire features a stunning 4 carat 9mm cushion cut center with micro pave set rounds down each side of the shank. The shank of the solitaire measures approximately 5.5mm in width at its widest point and subtly tapers down to the bottom. 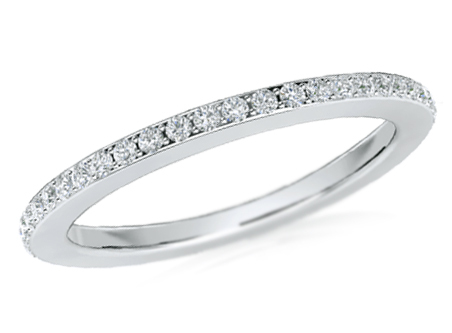 A beautiful matching band adds to its beauty with a single row of rounds that also run halfway down both sides of the shank. 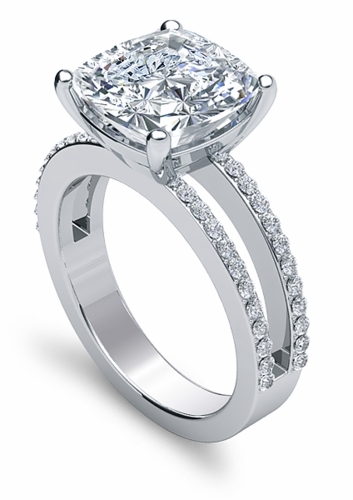 Approximately 5.25 carats of the finest hand cut and hand polished Russian formula cubic zirconia is included. 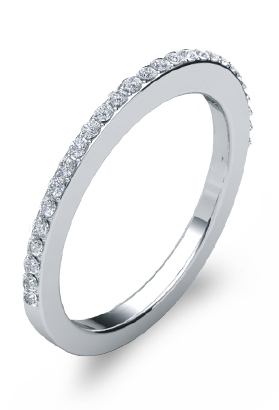 This ring is available in your choice of 14k yellow gold, 14k white gold and luxurious platinum. Additional center stone carat sizes and shapes can be made via special order. 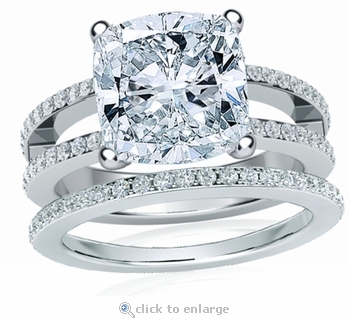 Finger sizes 5 through 8, metal options and other center stone carat sizes are listed in the pull down menu. 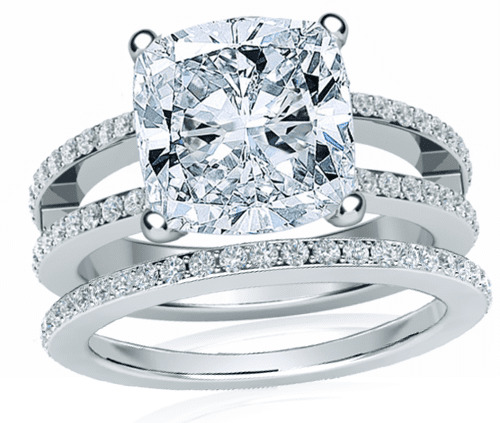 This wedding set is also offered with a round center stone. Please see item S1070R. For further assistance, please contact us directly at 1-866-942-6663 or visit us via live chat and speak with a knowledgeable representative.